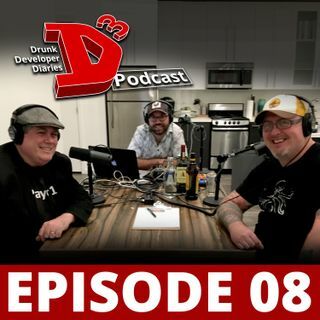 Scott Rogers joins us during our special E3 series at the D3 Podcast bar in Los Angeles. Scott literally wrote the book on game design as the author of the # 1 Amazon bestseller, Level Up! The Guide to Great Video Game Design. He’s been a game designer and creative director on more than 50 AAA games for Disney, Sony, Capcom, Namco, and THQ. In addition to having more video game credits than you can shake a stick at (ever heard of a little game called God of War? ), Scott has published his own ... See More tabletop games and spent time as a Disney Imagineer. Grab a beer and listen in as Scott walks us through his crazy career and talks all things design!